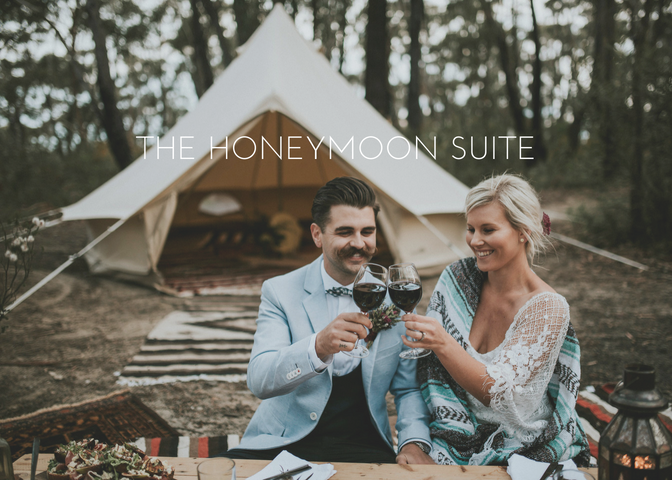 Nomadic Belle is dedicated to bringing ultimate luxury and comfort to your glamping experience. With capacity to accommodate up to 100+ guests, our team can pitch our Bell Tents at your desired location within NSW to make your next event one to remember! We travel all over NSW, but here are some of our all-time favourite glamping spots. Can't find the perfect location for you? No problem! Flick us an email and we'll help you find your dream location. Colo Riverside is a private, secluded campground with a river for swimming, fishing & kayaking! This site is dog friendly and campfire friendly. With hot showers, toilets and a cafe on site - this spot is any glamper's dream! You can find more information on Colo Riverside here. The Blue Mountains offers quiet, secluded, private campsites. With stunning views of the Valley in every direction, it's hard not to fall in love with this place. You can find more information on Blue Mountains camp sites from us directly, enquire here. Glenworth Valley Outdoor Adventures is the perfect spot for any adventure loving family or couple. Go quad biking, horse riding, or kayaking. With private sites, plenty of space, campfires, and bathroom amenties; whats not to love? You can find more information on Glenworth Valley here. Go swimming, kayaking, fishing, or sit back and relax by the water. This campsite is spacious, secluded and offers all necessary amenities for ultimate comfort. You can find more information about Lake Lyell here. Thank you for your enquiry. We are excited to speak with you about how we can help you! Please allow up to 48hours for response. If you require attention sooner, please call Nomadic Belle team on: 0449 163 393. Got a general question or query? Send us an email at info@nomadicbelle.com or message us on Facebook/Instagram.